Since his 2011 debut album, +, singer-songwriter Ed Sheeran has become of the biggest pop stars on the planet. 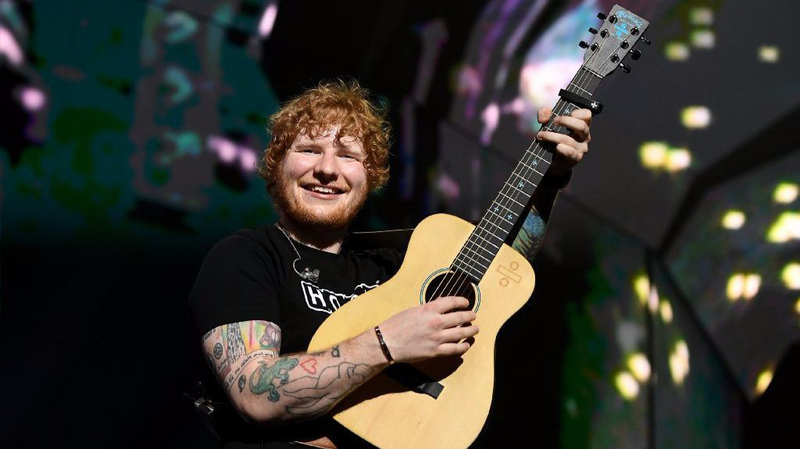 Armed with his signature Martin acoustic guitar, Sheeran has consistently topped the charts with his infectious pop grooves. We've just added brand-new G-Plus Audio play-along songs for six of Sheeran's biggest hits, including "Thinking Out Loud," "Photograph," "Shape of You," "Galway Girl," "The A Team," and "Lego House." Each song features a full backing track, from which you can remove or isolate the guitar, add a click track, slow the tempo, or loop tough sections for more focused practice, plus auto-scrolling guitar tab. These are the ultimate play-along tools on the web!